This is a stamp by Taiwanese Artist Lin Chia Ning. 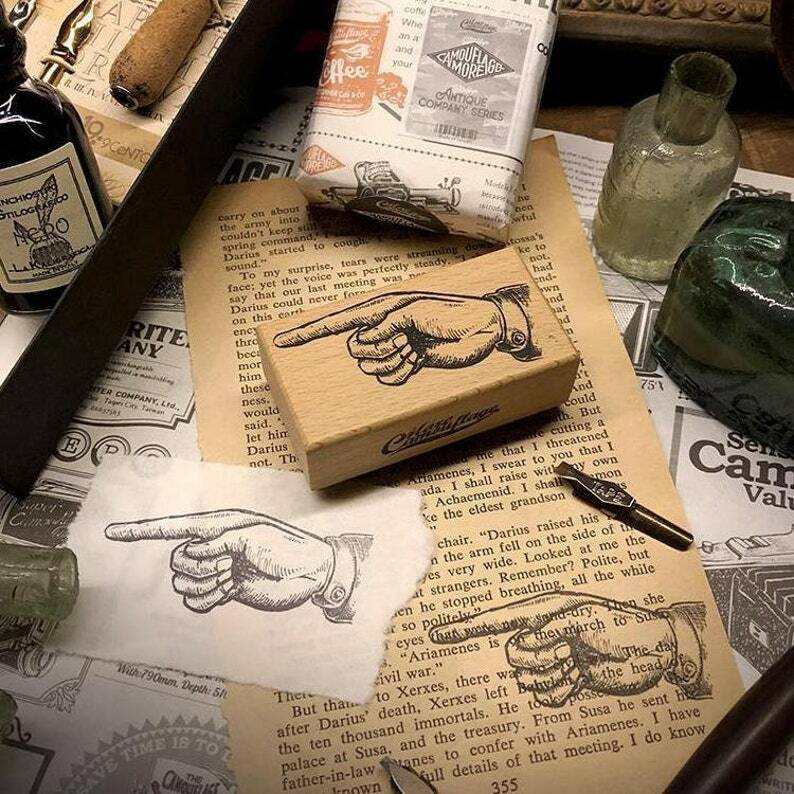 Add a vintage touch with the classic pointing finger design stamp. A great stamp to decorate journals, snail mail, packages, gift tags and more, these stamps are beautifully detailed and perfect for layering. Stamp also includes a pkg of gummed labels.